Twitter is like the Wild Wild West as a new technology, but there are job postings and connections being made from it. Below are still of the things I am doing. Write and share what you have tried and whether you have seen results. We can all benefit with information on how to use this fun tool! 1. Make sure you have a picture and bio on your id. Using your LinkedIn profile link is an excellent idea. 2. Follow recruiters who often post jobs. 3. Follow companies or people who work for companies you want to work for. 4. Post topics that add value to conversations or answer questions. 5. Go to tweetups where you can meet people face to face. How are you using Twitter? And, oh yeah, be sure and follow us at twitter.com/hireaustin. Since I wrote this posting, I have found some new job boards that are using Twitter to broadcast the postings. 1. jobshouts.com – You can fill out a profile and they will DM (direct message) you when a job that fits your profile gets posted. 2. tweetmyjobs.com – sends a text message via cell only (using twitter) when a new job posting shows up in the channel you are interested in. 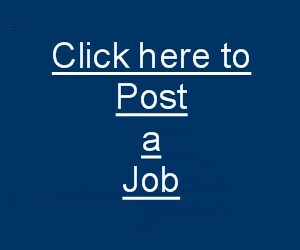 3. twitterjobsearch.com – lets you search for jobs that have been posted on twitter. If anybody has had success with these sites, even an interview, please share with the rest of us.